Thomas Stevens Barber passed away at Rose Arbor Hospice Residence in Kalamazoo, MI on February 18, 2018 with his family by his side. 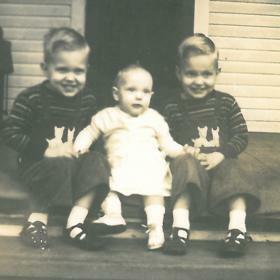 Thom was born May 19, 1937 in Petoskey, MI, five minutes before his twin brother, to Bernard and Lois (Harrington) Barber. Thom was preceded in death by his parents; his twin brother, Philip Barber; his sister and brother-in-law, Sandra (Barber) and Garth Gillett; and his father- and mother-in-law, Donald and Theressia (Bosworth) Pinckney. On August 15, 1959, in Sparta, MI, Thom married his high school sweetheart, Marilyn (Pinckney) Barber, who survives.  Also surviving are children: Steven (Debora) Barber of Zeeland, MI, Thomas Barber, of Lake Tahoe, CA, Tamara Kaup of Kalamazoo, MI and Mary Beth (Steven) Block of Portage, MI; seven grandchildren; four great-grandchildren; one sister-in-law; two brothers-in-law and their spouses and many beloved nieces and nephews. Thom was an accomplished athlete. 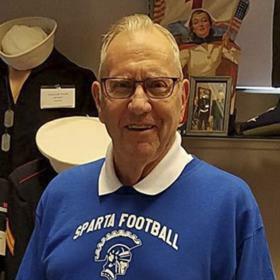 He was proud to have been a member of the undefeated 1955 Sparta High School football team. He also played basketball and ran track for Sparta. 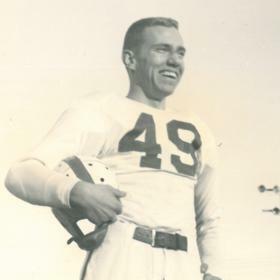 Thom was a proud alumnus of Western Michigan University, where he played football for the Broncos, and was named the “most improved” player for 1956. Thom earned both his Bachelor of Arts and Master’s Degree in Education from Western Michigan University. He was a life-long “W” Club member who attended countless WMU football & basketball games throughout the years as a very proud ex-player and true fan. Thom’s love of sports carried throughout his adult life; he was both an avid & accomplished golfer and bowler. Thom also coached golf & football at Portage Northern High School. At his core, though, Thom was a teacher. 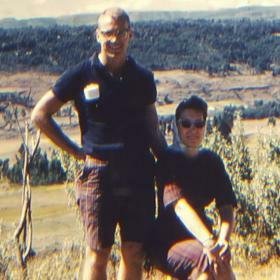 Before settling in Portage, Thom and Marilyn taught overseas in Eritrea, Africa and Germany. After returning to the states, Thom taught industrial arts and physical education for more than 30 years, most of it with Portage Public Schools. But for Thom, teaching wasn’t just a profession; it was who he was as a humble member of the community he served. Thom never missed an opportunity to turn an everyday task into a teachable moment for his children and grandchildren. In retirement, Thom was a fine cabinetmaker for a time and built many custom pieces of furniture. 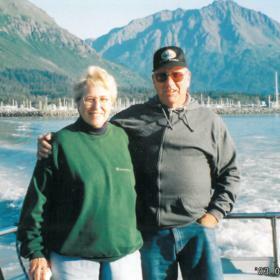 Thom also loved to travel and took several long trips to Alaska with Marilyn in their RV. Thom was a long-time member of Portage Chapel Hill United Methodist Church, where several examples of his craftsmanship can be found. The family will receive visitors at Portage Chapel Hill United Methodist Church (7028 Oakland Drive in Portage) on Friday, February 23, 2018 at 10:30 a.m. A memorial service will follow at 12 noon. In lieu of flowers, the family encourages memorial contributions in Thom’s name be made to Portage Chapel Hill United Methodist Church or Hospice Care of Southwest Michigan. Please visit Thom's personal webpage at www.BetzlerFuneralHome.com, where you can archive a favorite memory or photo of him and sign his online guestbook. 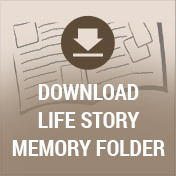 Arrangements by Betzler Life Story Funeral Home, 6080 Stadium Drive; Kalamazoo (269) 375-2900.